BIOSHOCK's Ken Levine Writing LOGAN'S RUN Script!!! Exciting news! Deadline is reporting that Ken Levine, co-founder of Irrational Games and creater of the Bioshock franchise, has been hired by Warner Bros. to script the remake of LOGAN'S RUN. Warner Bros. has been trying to get an updated version of the film off the ground for awhile now. At one point, Bryan Singer was developing it, then it was taken up by Nicholas Winding Refn and would star Ryan Gosling (which, admittedly, would have been very cool). But now, it looks like they are opting to bring Levine in and start from scratch. 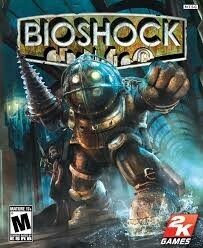 Levine and Irrational Games have garnerd praise from gamers and critics alike for their work on the Bioshock games. 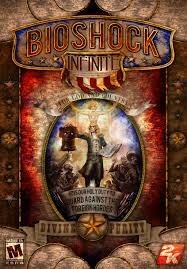 The most recent installment, Bioshock Infinite, was released in March, to massive acclaim. Apparently, LOGAN'S RUN is a bit of a passion project for Levine, which I could totally see. With the dystopian setting and the morality themes at play, it seems like he would be all over it. In fact, in a 2008 interview with Eurogamer, Levine cited the 1976 LOGAN'S RUN as an artistic inspiration for Bioshock. I looked at a guy like Andrew Ryan [Rapture's creator] - and a lot of guys that have a strong belief in a philosophy - and they always have great ideals. The trouble is philosophies are these ideals and people are not ideal. And what happens when people mix up with these ideals? That's what Rapture is - really interesting ideas screwed up by the fact that we're people. I have to be honest, this is pretty much the coolest thing I've read all week. I absolutely love the work that Levine did on the Bioshock games. He is a phenomenal story teller, and I can't wait to see what he does with those skills in a new medium. Especially on a project that is so obviously in his wheelhouse.